If you think the month is already getting over and so is the fun with it, then you might have gotten it all wrong! On the contrary, September is not yet ready to give up on all of us because she is yet to pour some of the most exciting and the most profitable online casino promos and bonuses. Courtesy of our online casino friends, the last day of the month is being made as one of your luckiest days because they’re giving away amazing deals. Who wouldn’t love a £150 weekly cash bonus for your weekly deposits? Or how about take your casino gaming experience to the EXTREME level? Also, are you up to join this casino’s one year anniversary celebration which would entitle you to choose ANY GIFT you want? If these teasers weren’t able to entice you, then we don’t know what will. But if indeed you are interested to grab a bite on what these awesome UK website casinos has to offer, then we urge you to proceed. Our big, cuddly panda bear friend, Royal Panda, always seems to have our joy and interest in mind. Which is why, the casino is back to offering its Weekly 50% Bamboo Bonus deal up to £150 for its avid patrons. What this means for the members is that they get to receive an extra 50% from the amount that they deposited. More money, more funds to play. More playtime, more chances of winning! Players can claim 50% up to £150 Bamboo Bonus right away if they deposit before this week ends (Friday). And if you think you’re in only for a one time deal, then you got it all wrong. They will get to enjoy, yet again, this cash promo next Friday! This is because the promo is here to stay forever! If you don’t want to get left behind with this amazing promo, then you better make your Royal Panda account through this link. 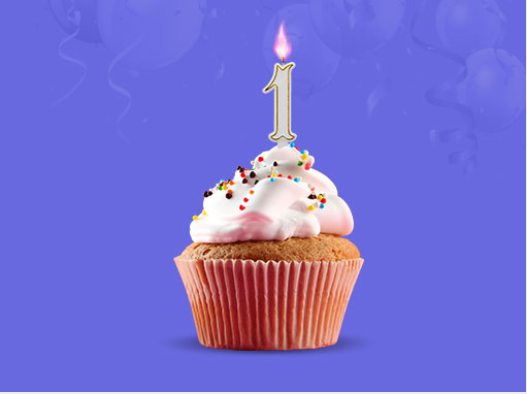 Gala Casino is celebrating their one year anniversary for the launching of their new website. And what a better way to kick off the festivity than by giving away amazing prizes wherein the lucky winners themselves will choose. To join, members only has to opt in and get 1 point on the corresponding leaderboard for every £10 wagered. This applies for any game offered by Gala Casino. Interested? We know you do! So sign up now for your Gala Casino account. The dapper Mr. Green will make you go out of your comfort zone and will take your play to the EXTREME! For every £1 won on any of the Live Extreme Table Games, whether it is Roulette, Blackjack, or Baccarat, will get you one step higher into the in-game leaderboard. The more points you earn, the higher you’d get to the top. The first top 5 players named at the end of the promo run will share £5,000 in cash prizes. Promo runs from September 29 to October 5. So what are you waiting for? Make your Mr. Green account now and get ready to take your game to the next level.